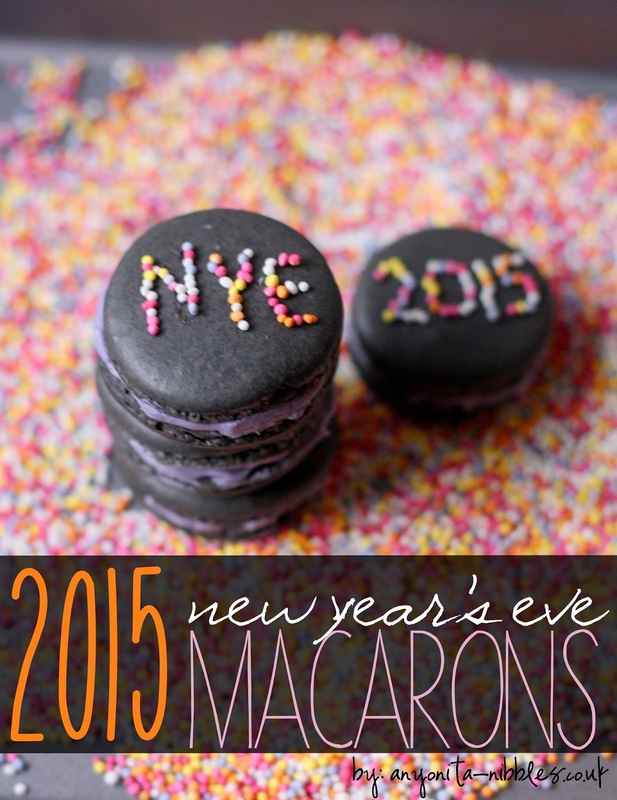 Macarons are the perfect way to ring in the new year and these sophisticated babies are no exception.They're fun and festive with their sprinkled tops proclaiming the upcoming year and 'NYE' for New Year's Eve! 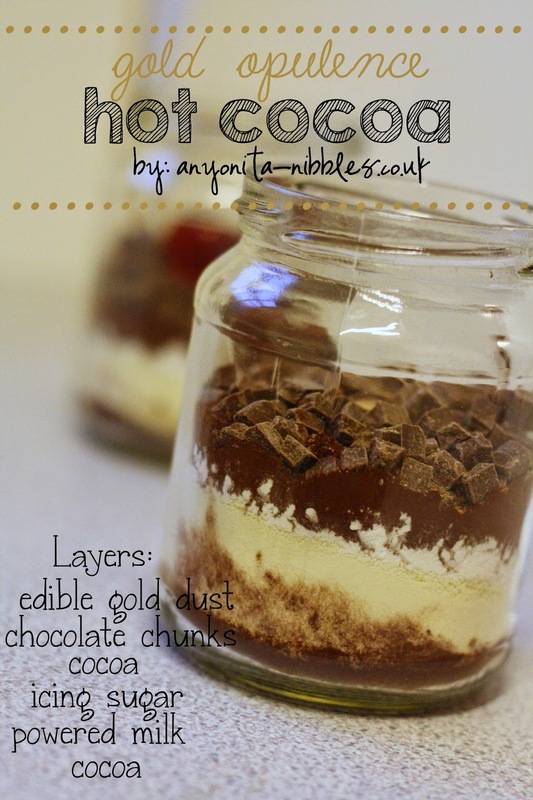 With edible gold lustre, this is one decadent hot cocoa made to get you through the busy work day! 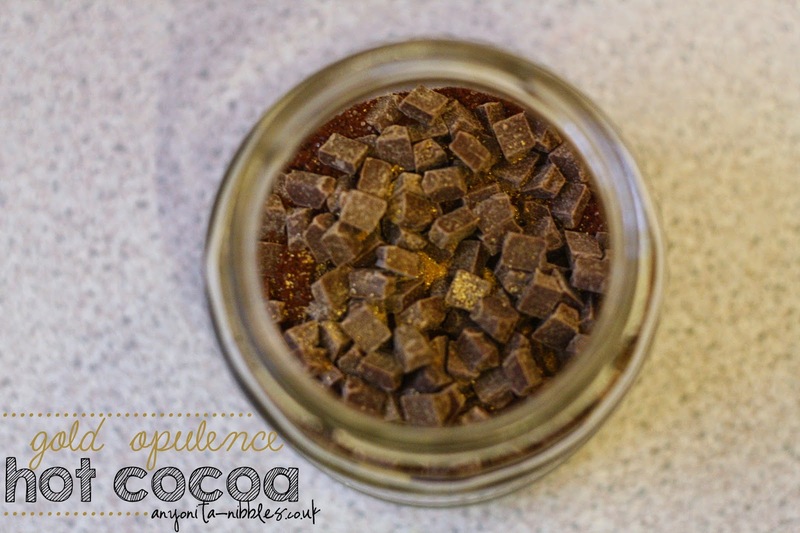 These hot cocoas are luxurious and decadent, made with only the finest ingredients. What's even better is that they're for you! I designed these special hot cocoas after receiving a prompt from www.thinkmoney.co.uk to come up with a creative way to use jam jars. The twist with these jam jars, is that they're not meant for a gift, they're for you to enjoy! 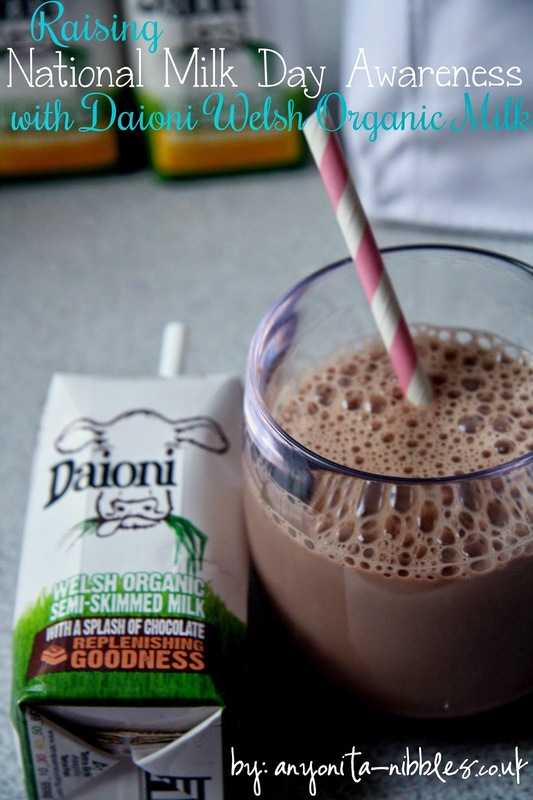 Celebrate National Milk Day on 11 January 2015, with Daioni Welsh Organic Milk! 11 January 2015 marks the anniversary of the first day milk was delivered in glass bottles in the UK. Daioni, the Welsh organic milk company is celebrating National Milk Day with a new range, the UK's first range of flavoured organic milk. 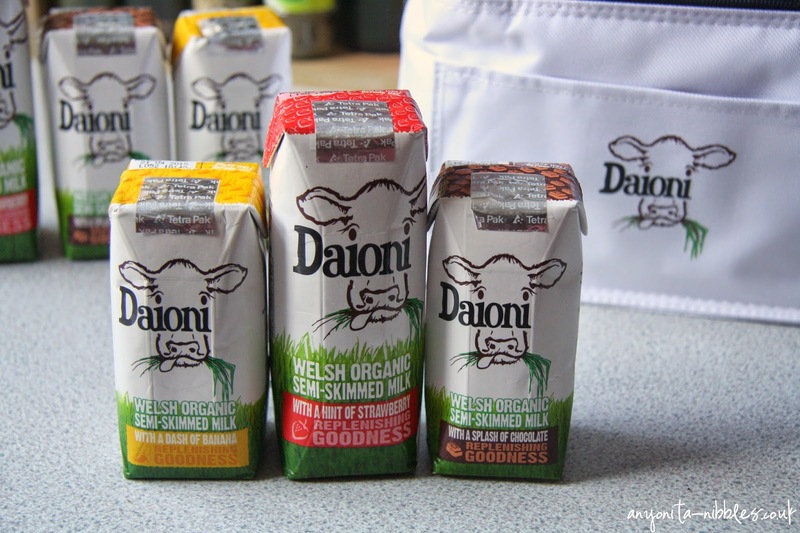 With milk available in chocolate, strawberry and banana flavours, Daioni hopes the new flavours will inspire parents and children alike to drink more milk. 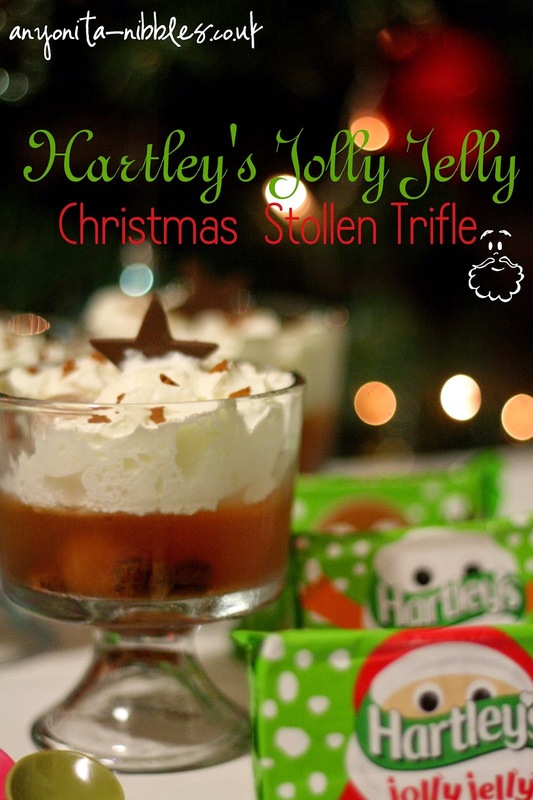 Shake the traditional Christmas trifle up this festive season with this easy, boozy, Christmassy recipe! Tis the season to be jolly and nothing beats the jolly-making like a bit of booze. And a traditional English trifle. Except, this traditional English trifle has been turned on its head and given a festive shake up! 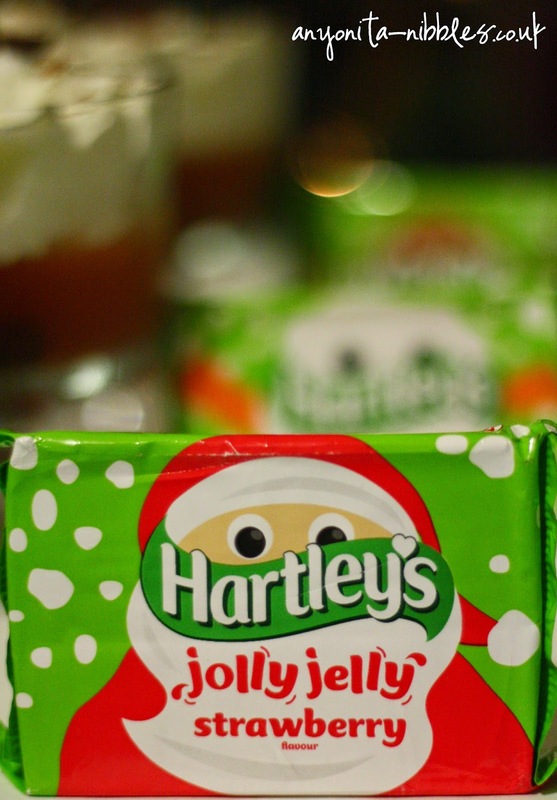 When you tuck inside and dig all the way to the bottom, you'll find a layer of Hartley's orange jelly with rum-soaked raisins and maraschino cherries suspended inside. (Omit the rummed raisins for kids & tee totalers.) Next layer up is decadent, buttery stollen, followed by thick pillows of whipped cream sprinkled with whimsical gingerbread men and a chocolate Christmas star tucked in for luck. Before we continue, allow me to clarify for my North American readers: when I say jelly in this post, I am referring to Jello. Here in the UK, jello is called jelly. 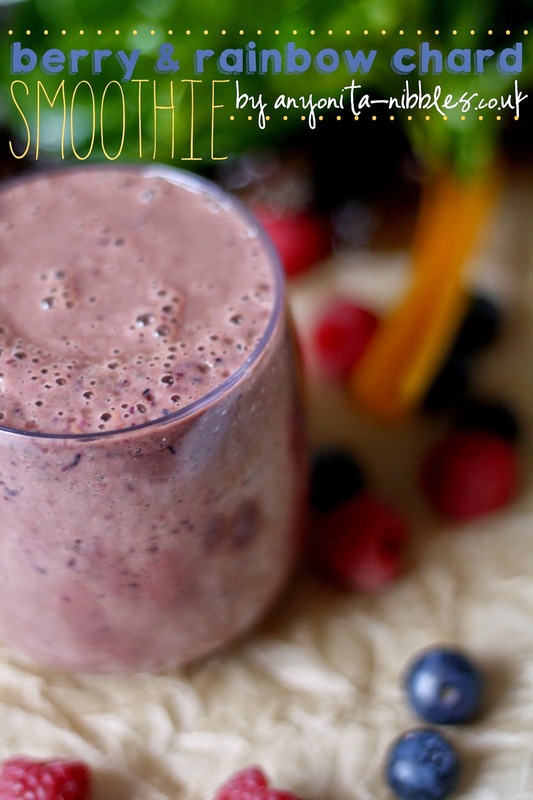 Get all the vitamins & nutrients you need in this tasty vegetable & fruit #healthytreats smoothie! Usually, green smoothies (not the colour green, but the generic name for any smoothie made with vegetables) contain spinach. But, when I received a bushel of the most vibrant rainbow chard I've ever seen, I know I wanted to use it in an unusual way. Swiss chard, the proper name for the vegetable in my smoothie, is actually a part of the chenopod family, along with beetroot and spinach, so it's an easy, natural substitute for it. ’This post has been supported by Rennie®, but all thoughts are my own’. 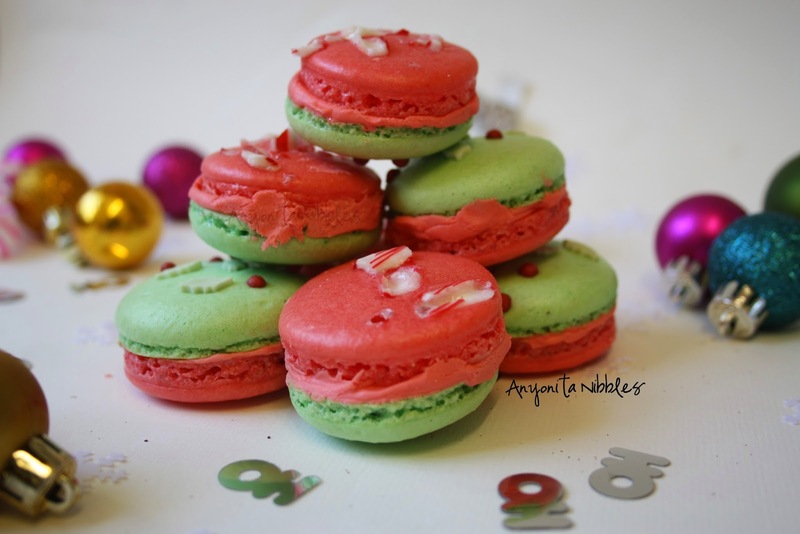 Gluten free macarons laced with seasonal peppermint flavours make an excellent Christmas treat! 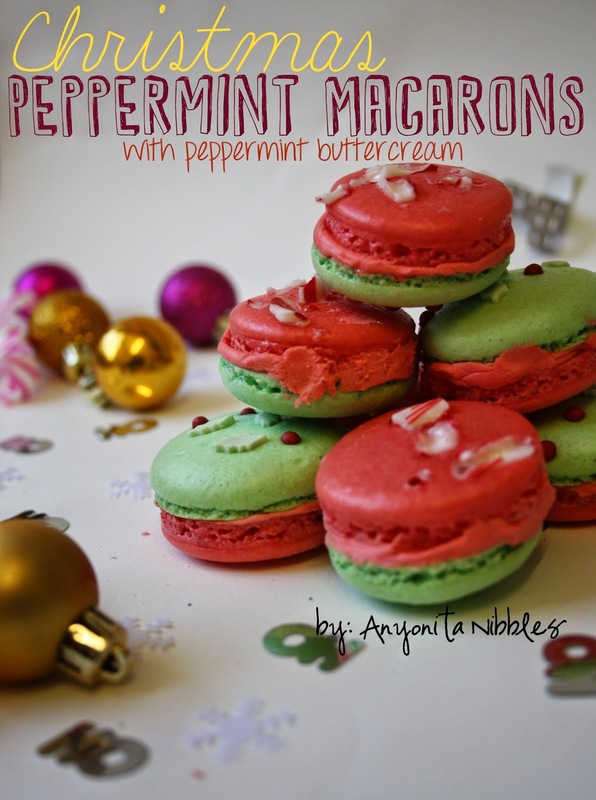 I love how versatile macarons are and these peppermint macarons are no exception! I've crushed some peppermint flavoured candy cane for the tops and filled them with sweet peppermint flavoured buttercream. 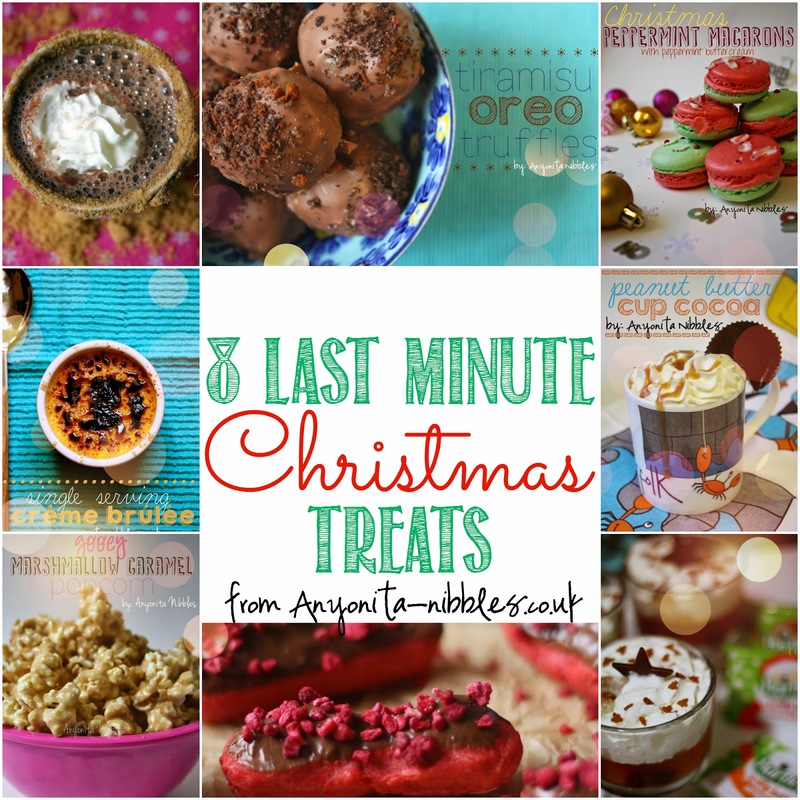 Serve these dainty gluten free desserts at your Christmas party or wrap them in Christmassy gift boxes and distribute to your secret Santa. Or simply enjoy them on Christmas Eve in front of the twinkling Christmas tree lights with a cup of something warm after you've wrapped all the presents. 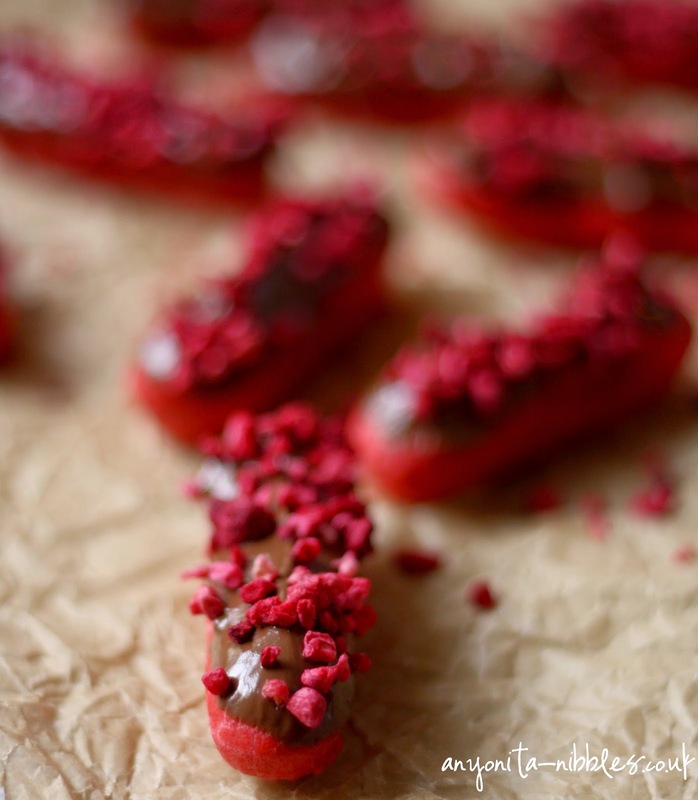 Gluten free choux pastry gets the decadent red velvet treatment, smothered in melted chocolate and sprinkled with freeze dried raspberries to make these indulgent mini eclairs! There's something particularly indulgent and decadent about red velvet anything. 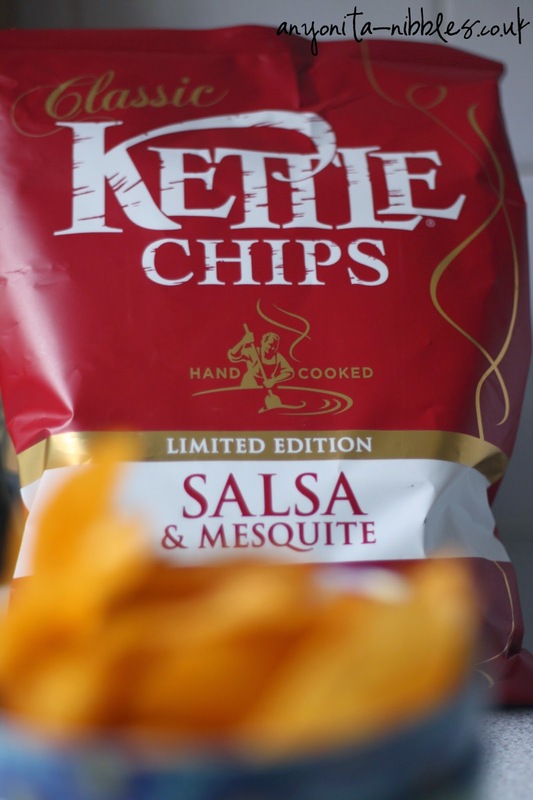 The smooth chocolatey flavour, the luscious deep red; it's magical. 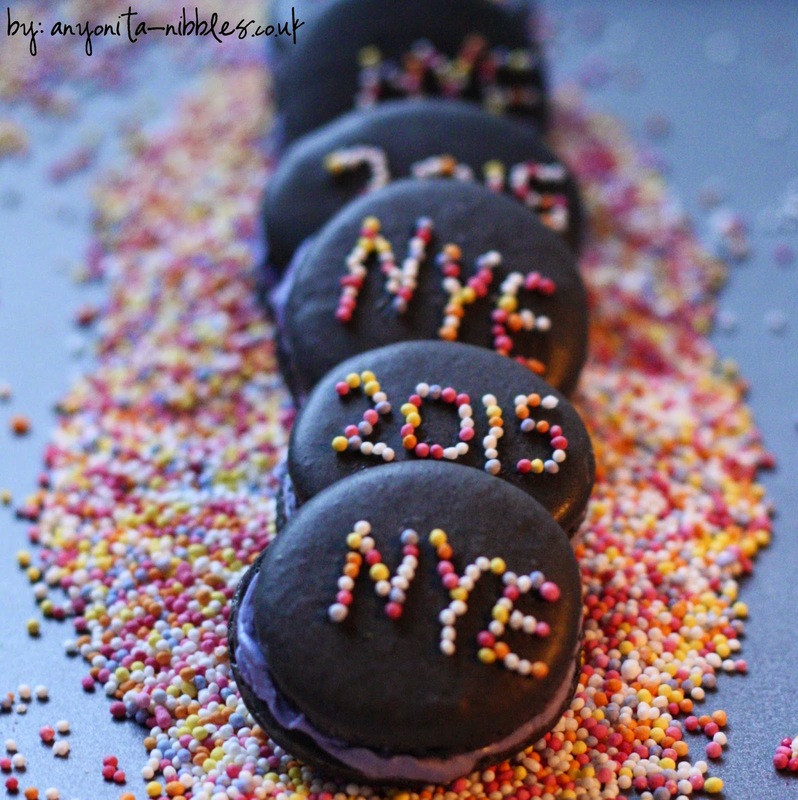 And that's exactly what I was going for with these mini treats. There's just something about winter that makes me crave red velvet. Maybe it's because I grew up with Christmases dominated with towering red velvet cakes, with buttercream as thick as Lake Effect Snow squeezing out between the layers of the cake? 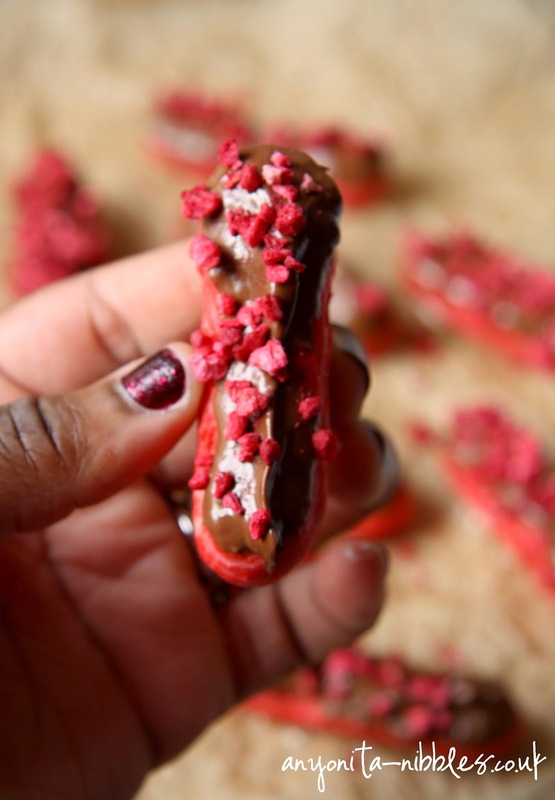 These mini eclairs would be perfect dotted around a buffet at a Christmas party. Or, save them to make on Valentine's Day if you want a naughty, indulgent treat to woo your love or drown your sorrows. It doesn't matter when you eat them, to be honest. You'll absolutely love them! 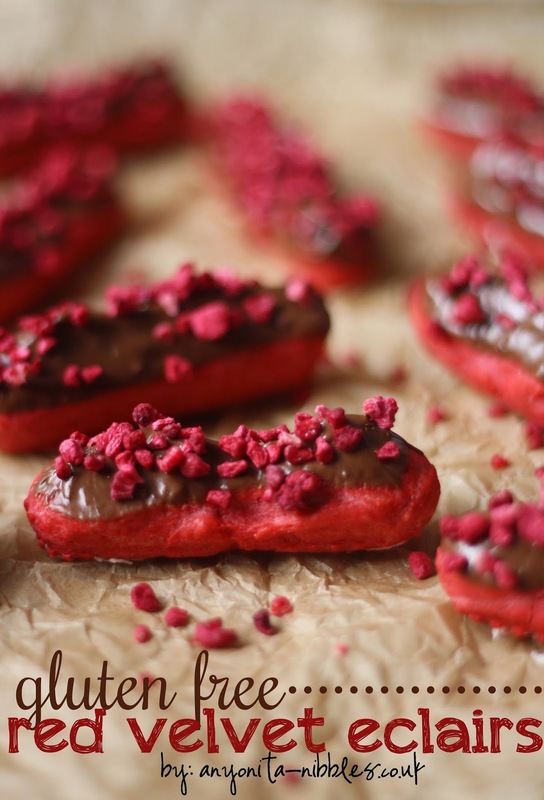 To make these, I flavoured and coloured normal gluten free choux pastry with red velvet emulsion. Once they were baked, I piped them with a cream cheese buttercream. Then, dunked the tops in melted milk chocolate before sprinkling over freeze-dried raspberries. Enjoy one of these six fantastic Thanksgiving desserts when you want something that's not pumpkin pie! It's American Thanksgiving this week, so I thought I'd share six of my favourite dessert recipes that would work well as the follow-up to a Thanksgiving meal. Each of these desserts are easy to make and will impress your family or any guests you've invited round your Thanksgiving table. 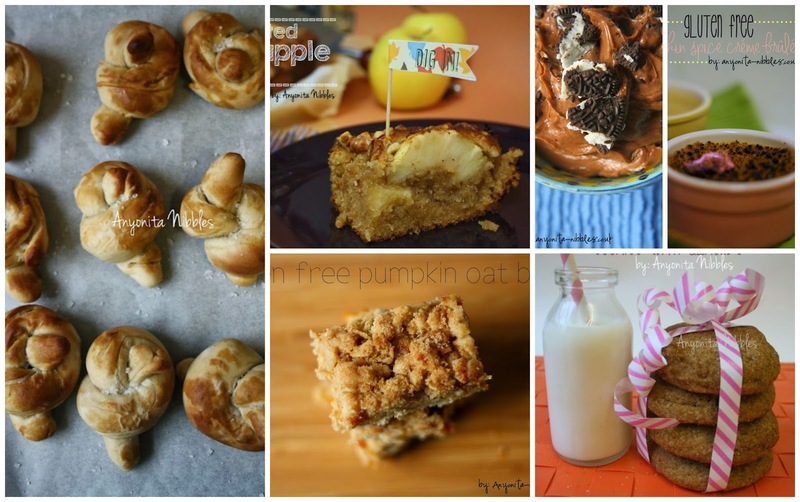 From gluten free pumpkin pie alternatives to easy, three-ingredient puddings and handmade pretzels, there's a taste for everyone! Perfect as a gluten free breakfast on the go, these pumpkin oat bars are decadent and indulgent and will meet your pumpkin needs! 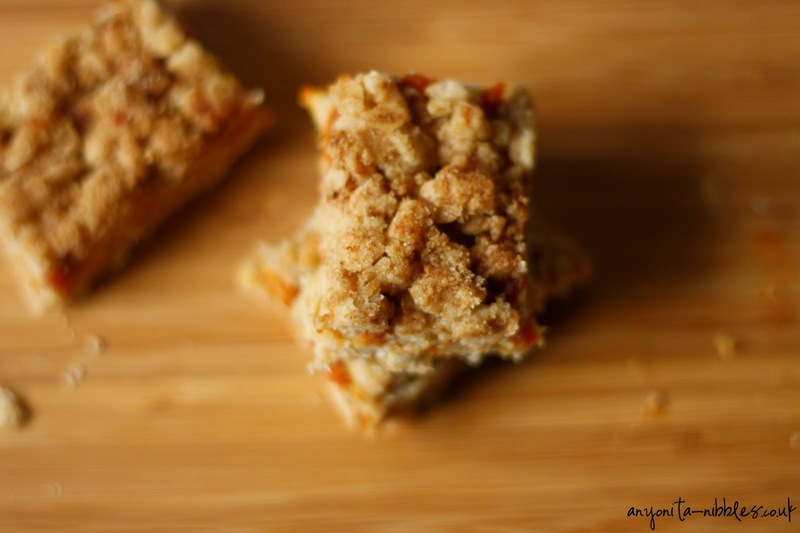 Oat bars are popular anytime of year, but I always find myself craving them when the weather starts to turn chillier. They make a far better accompaniment to hot tea than biscuits or cookies do and as the mercury drops, my consumption of tea increases. From that perspective, there's no shock, then, that I crave oat bars in autumn and winter! 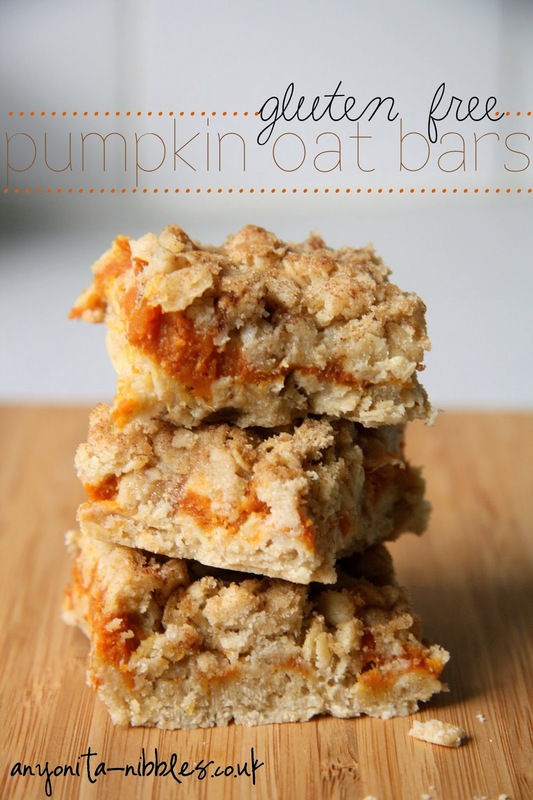 These oat bars, with the soft oat flour base, rich pumpkin puree and flakes of rolled oats across the top, are a perfect pumpkin/oat sandwich. 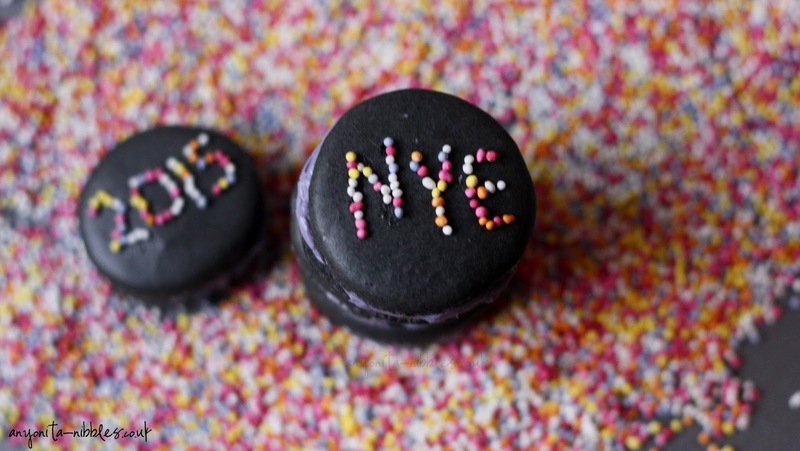 They're gluten free, made from oat flour which makes them surprisingly soft! 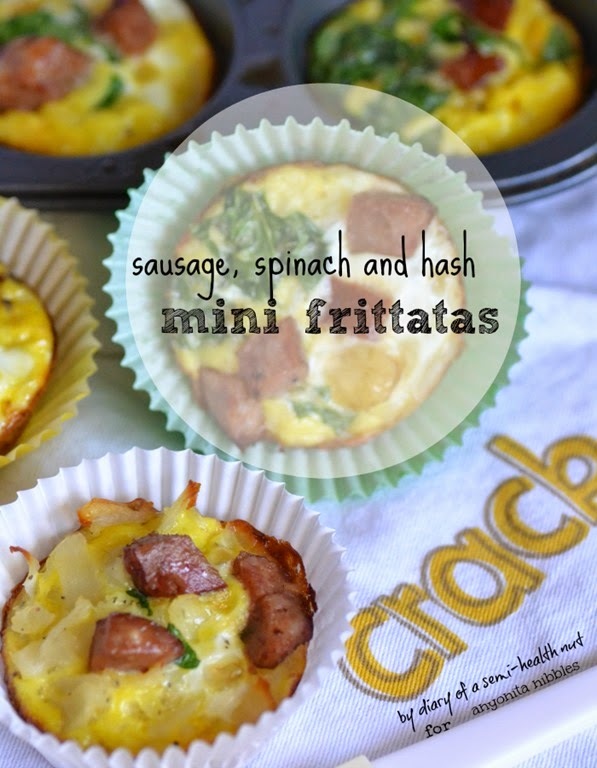 Easy to whip up, and requiring minimal effort or time, you can make a batch of these as soon as you get up on Saturday morning and nibble them throughout the day. Or, do like I do, and make up a batch for breakfasts for the entire week. 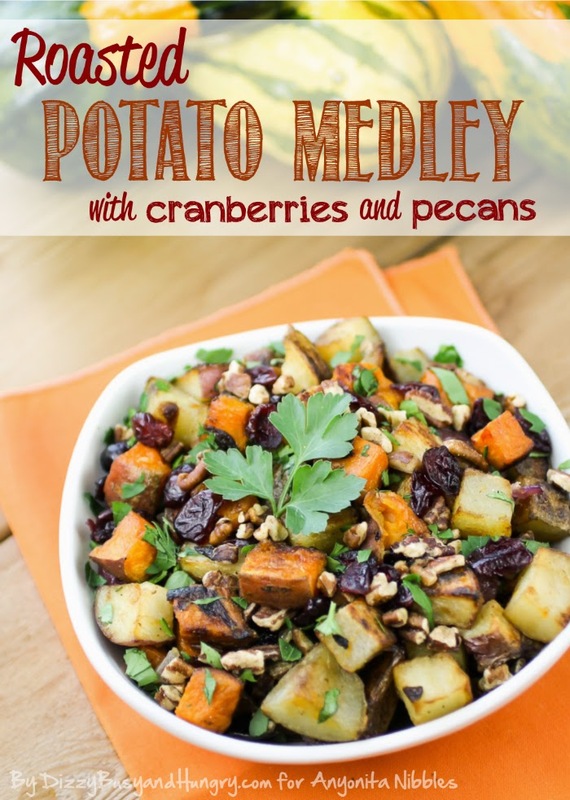 Liven up your Thanksgiving side dishes with this gluten-free, vegetarian and vegan friendly potato medley! Hello to all of Anyonita's wonderful readers! 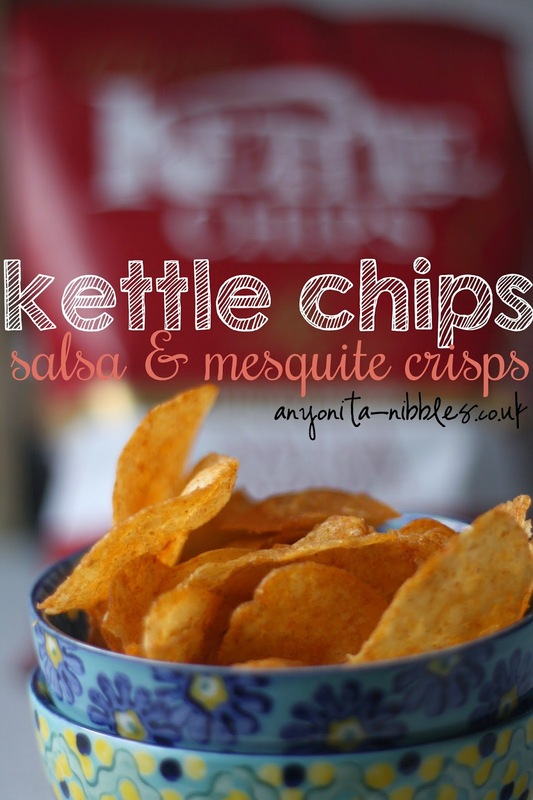 This is Kristin from Dizzy Busy and Hungry, back again to share another recipe with all of you! This time of year, as we approach the holidays, I am always on the lookout for really great side dishes to serve at holiday dinners. They must be easy, delicious, and elegant, so that they don't make me crazy with lots of fancy ingredients or instructions, yet they make my dinner guests feel like I went all out for them! This potato dish is one of my favorites. The potatoes turn out slightly crispy on the outside, and nice and tender on the inside. The garlic salt and cranberries play perfectly off one another, with just the right amount of saltiness and sweetness combined in each bite. 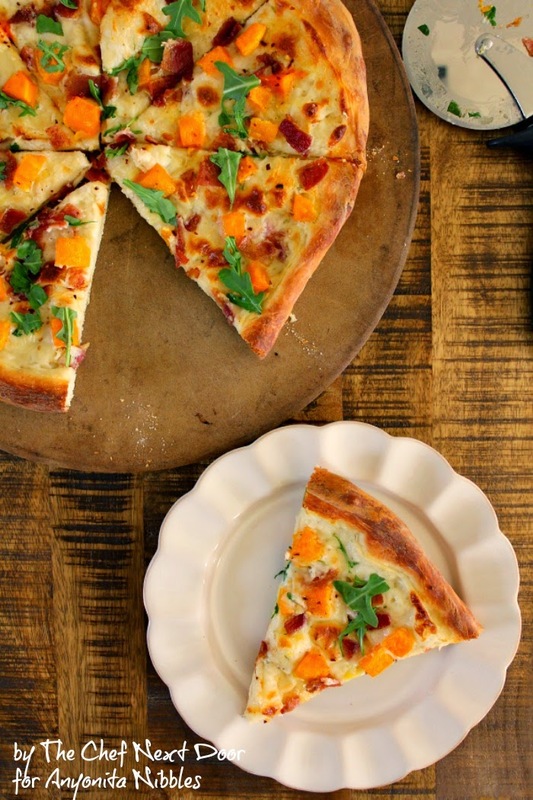 The pecans add a nice crunch, and the parsley contributes some color as well as another layer of savory flavor. This dish is a hit every time I serve it! All-natural pumpkin puree is blended with brown sugar and cream to make an easy, sophisticated pumpkin dessert just in time for the holidays! 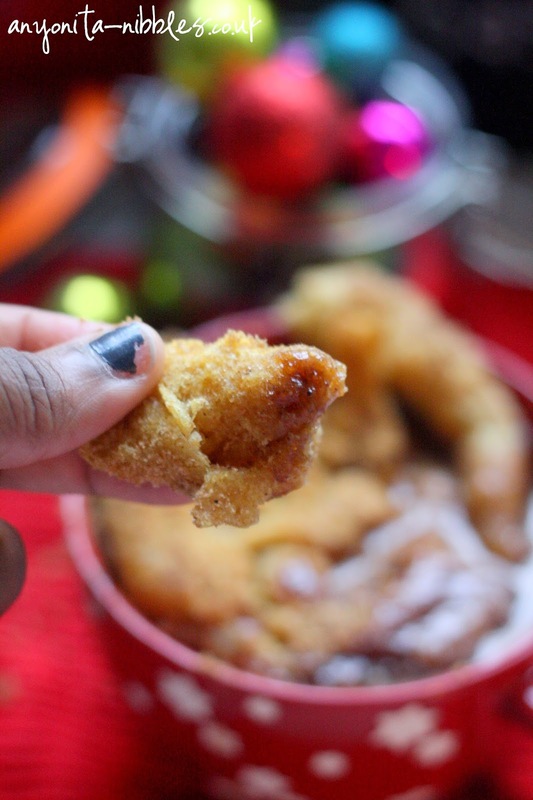 By now, you probably know all about my obsession with créme brûlée. 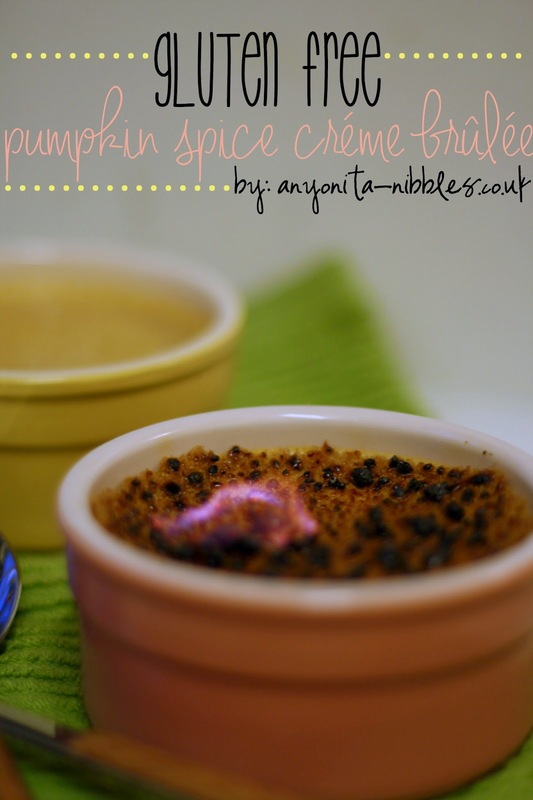 Remember this summer when I shared my recipe for gluten free créme brûlée for one? Yeah, all that elation and addiction is still present. It's the very reason I came up with this decadent autumnal version. Spiced with ginger, cinnamon and nutmeg and mixed with all-natural pumpkin puree, this créme brûlée would make an excellent, naturally gluten free alternative to pumpkin pie this Thanksgiving. The bitter brûléed brown sugar atop this dessert combines nicely with the rich pumpkin and the slightly fiery spices. I especially love it when you get a tang of the ginger. It's an absolutely decadent dessert that's easy to make and would look attractive served after a hearty Thanksgiving feast. Plus, if you've got guests coming over this Thanksgiving, this is an easy way to impress them with a restaurant-quality dessert that's a cinch to whip up! 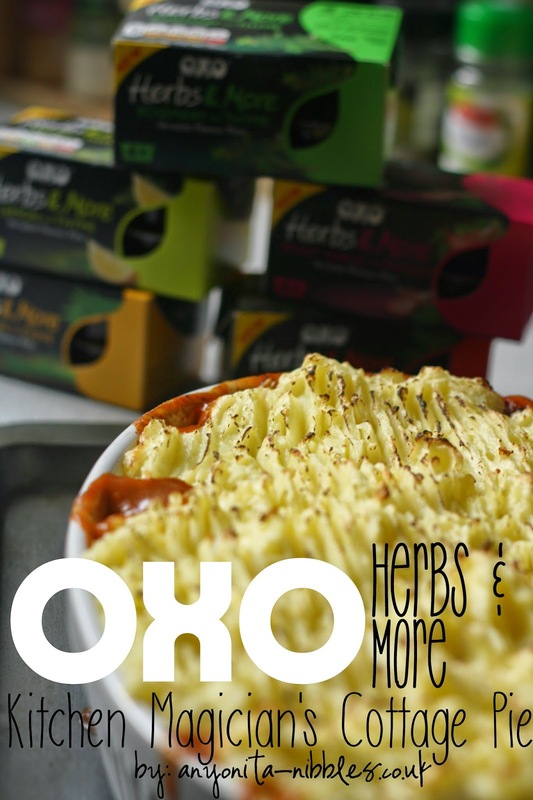 Get your kids cooking with OXO's new Herbs & More Flavour Pots & this easy, classic cottage pie recipe! 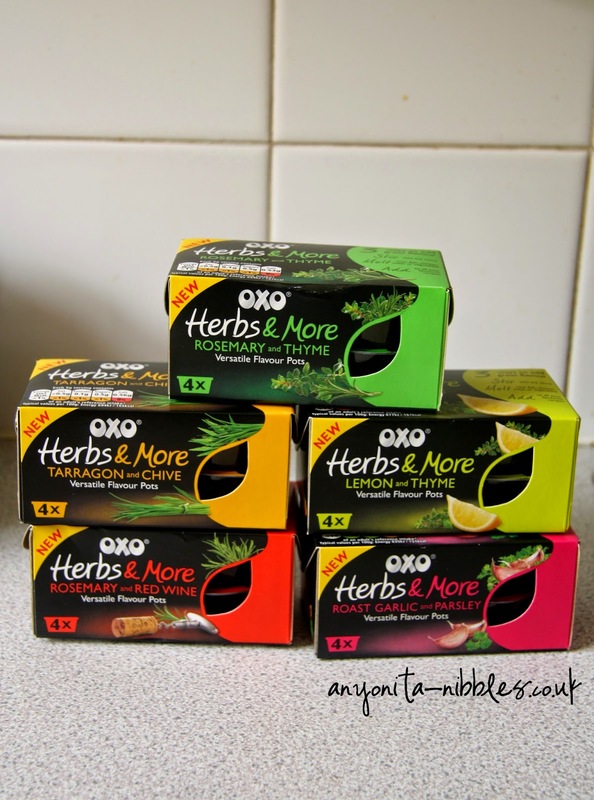 Disclaimer: The OXO pots are not gluten free at the time of writing this post. Parents of toddlers and preschoolers know that their little monsters like nothing more than being a bossy boots. A dozen times a day, I must say to Callum, "Stop being a bossy boots!" or "Oy! Bossy boots; cool it!" or some other admonishment about his slightly overbearing need to be in control. The people at OXO must be all too aware of this phase of development, because their latest campaign, Kitchen Magician, addresses this, fuels it and provides our tiny dictators with just enough space to exercise their authority. 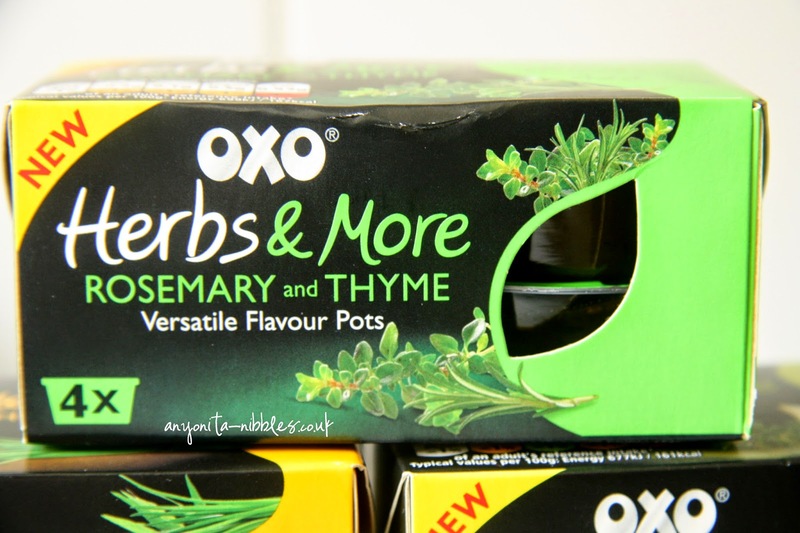 OXO have just launched a range of Herbs & More Flavour Pots to help you get dinner on the table quicker, so you have more time to be bossed about by your children. (Cheers for that, OXO!) In celebration of this seriously delicious, but sadly not gluten-free range, OXO invited bloggers to get in the kitchen with their children and whip up a meal. I'm working with BritMums and OXO on this project and have been compensated. All opinions and editorial are my own. 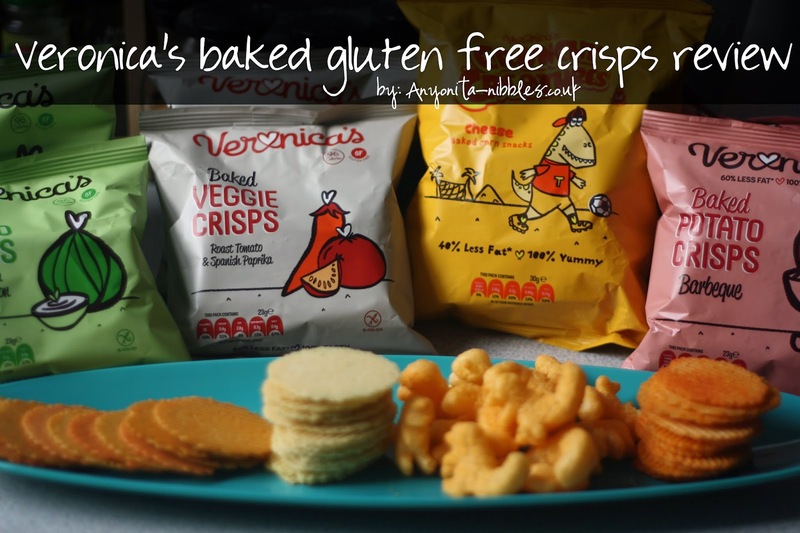 Gluten-free, low in fat and vegetarian friendly, Veronica's Snacks offers a wide range of baked crisps everyone can enjoy! From the classic potato crisp flavours to the fun, cheesy dinosaurs--there's something for everyone in a bag of Veronica's. 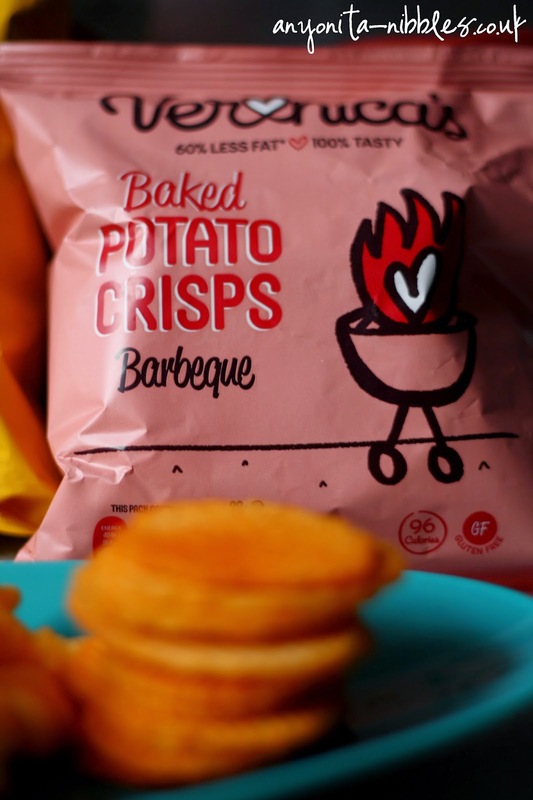 Designed with children in mind, Veronica's Snacks are a tasty, low-fat, gluten free, vegetarian-friendly alternative to traditional crisps and potato snacks. 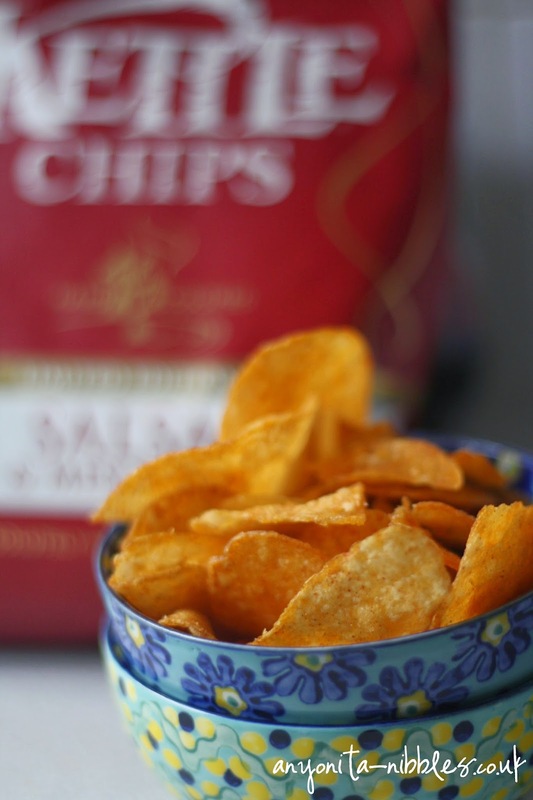 Each packet of Veronica's contains 60% less fat than traditional crisps, making them an ideal snack for children. 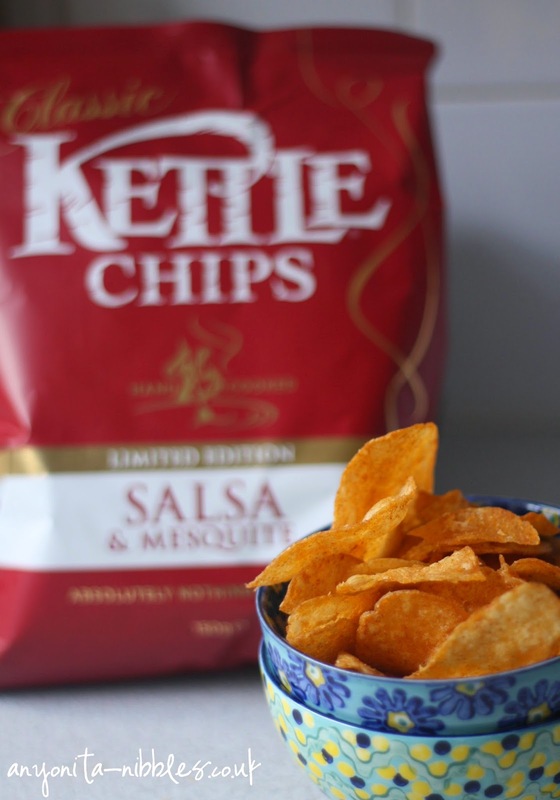 With two flavours of potato crisps and two flavours of veggie crisps, adults will find themselves drawn to the Veronica's range, too. And just for kids, there's a new range of dinosaur-shaped cheesy crisps! Disclaimer: I was provided with these snacks for the purpose of writing a review. Neither my opinions nor any bit of this post has been purchased, influenced or written on behalf of anyone from Veronica's Snacks and any affiliated companies. This reviews is 100% my own opinion. Thank you to Veronica's Snacks for allowing us to sample these treats! 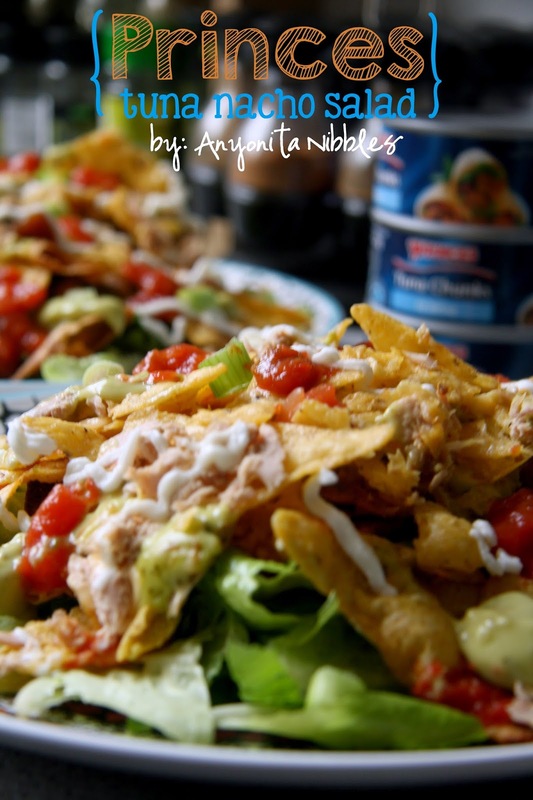 Fast and an easy way to please a crowd, this nacho salad is laced with Princes tinned tuna! 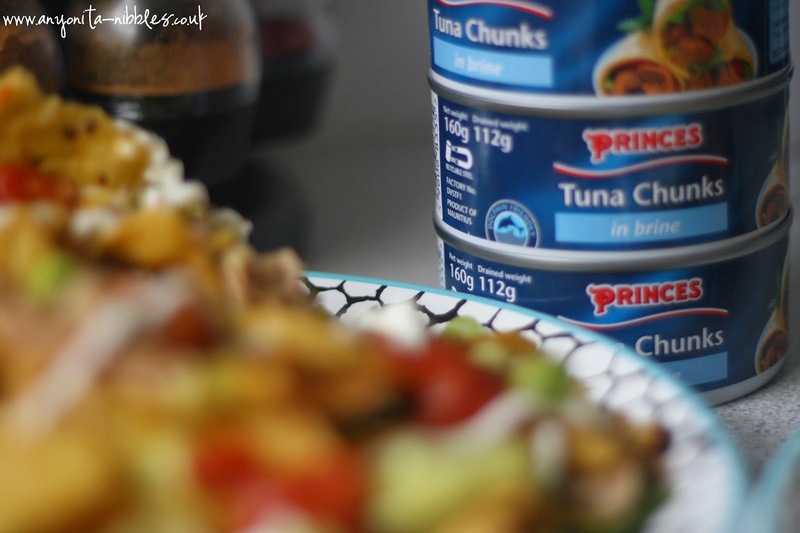 When's the last time you had tuna? Did you have it in a sandwich or jacket potato? 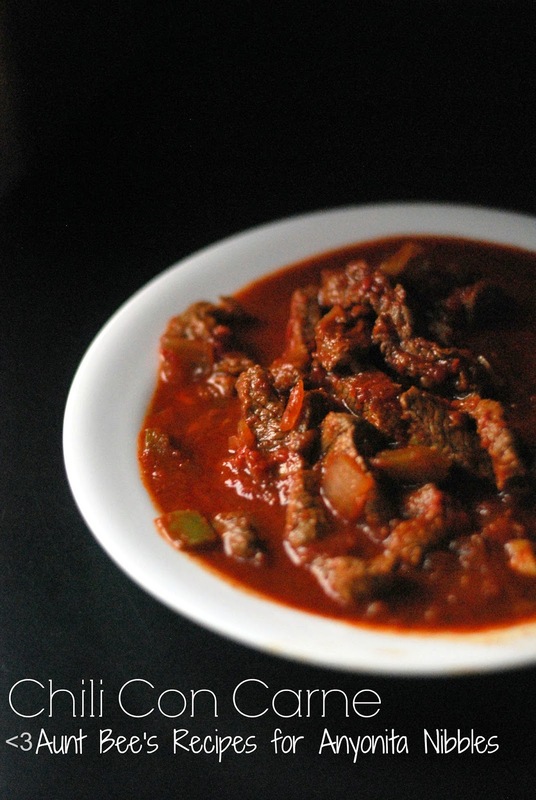 Spread across some crackers or as a medium-well steak? 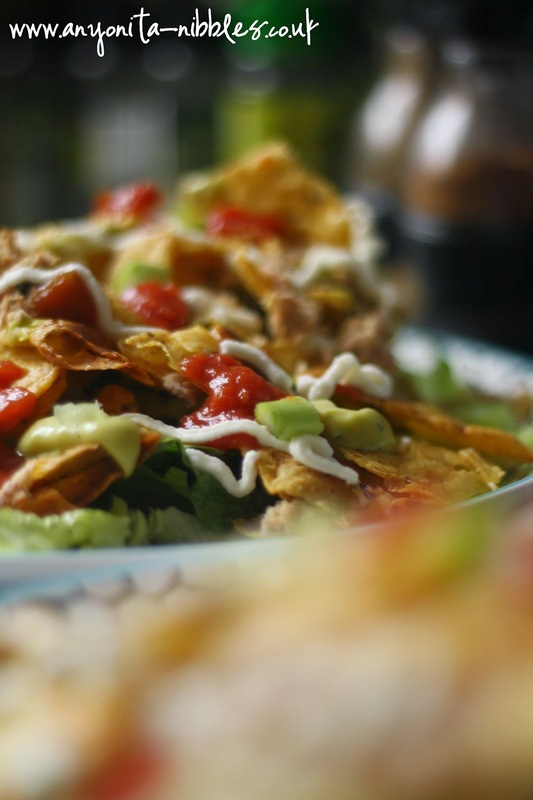 I bet the last time you had it, wasn't as the main component of a delicious nacho salad! Greek yogurt combines with apple cider for a festive, fruity smoothie recipe with warming cinnamon and nutmeg! 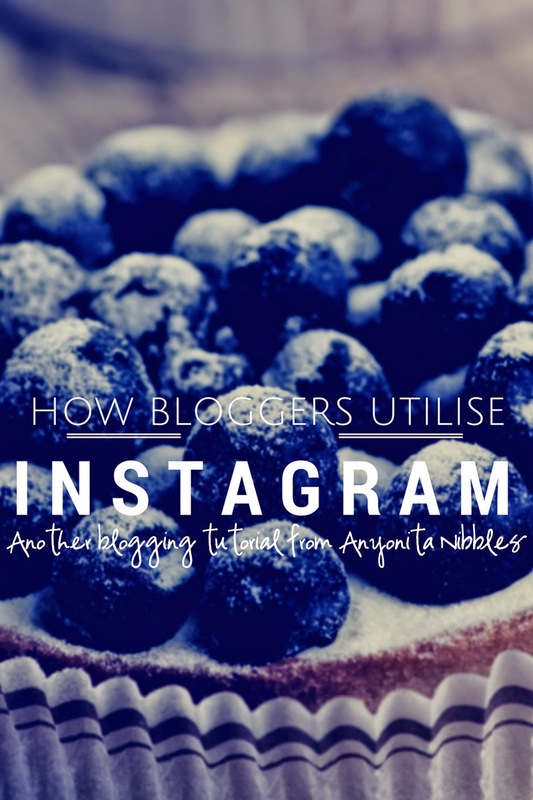 Hi, this is Kristin from Dizzy Busy and Hungry, back again as a contributor on Anyonita Nibbles. 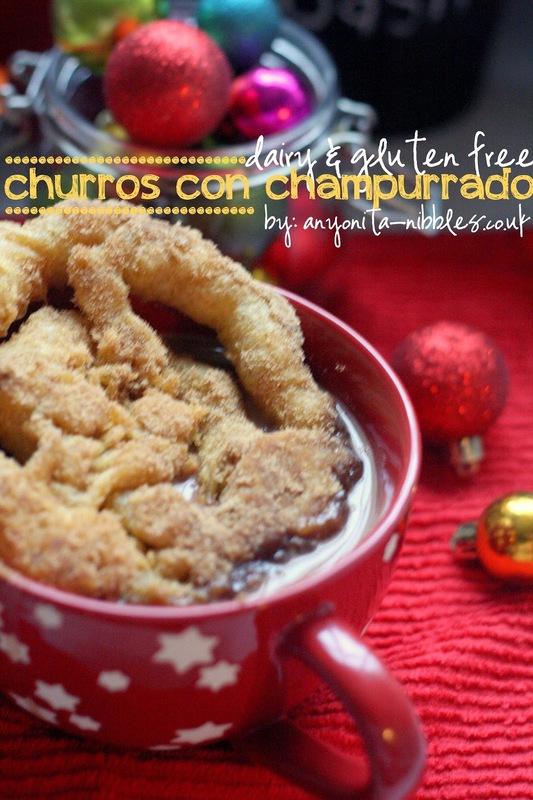 I am excited to be here to share another recipe with all of Anyonita's wonderful readers! 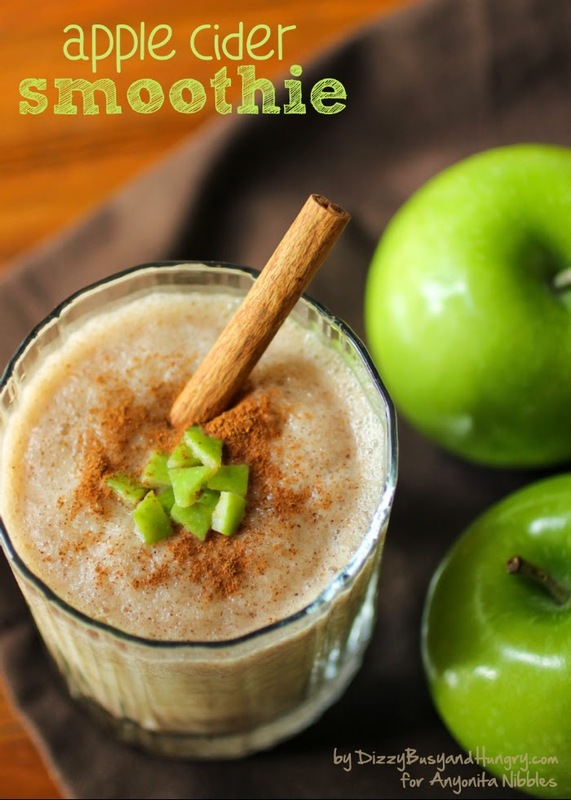 I hope you like apples, because today I am sharing my Apple Cider Smoothie recipe.